Some very important webs in the world speak of the “supposed energy” of Machu Picchu, we suppose by the fact that the people who write said post, have not yet been in Machu Picchu. The energy of Machu Picchu is perceivable by anyone, some are explained by a “I do not know what it will be”, and the more skeptical they seek a “but” or a more reasonable explanation, one that they can understand, even beyond That they can feel. It is known that about 300 million people seek a spiritual journey every year; Machu Picchu is now the spiritual center of the world already chosen among the 10 best spiritual destinations on the planet, but there are only 2,500 tickets available to enter Machu Picchu every day. Hiram Bingham was the first person to call a sacred place to Machu Picchu, but there is much evidence that Machu Picchu was a sacred place since its construction. The mountains were sacred to the Incas, and the Inca city of Machu Picchu is built in a beautiful and inaccessible natural environment, between Machu Picchu Mountain and Huayna Picchu Mountain, which in turn are surrounded by more mountains belonging to one of The chains of the Andes mountain range. Where does the energy from Machu Picchu come from? Ancient cultures built many of the most important sacred places, and in which one can feel great amount of energy; Some of them are delineated by geodesic lines, that cross the most impressive places of the planet; The Pyramids of Egypt, the Lost City of Angkor Wat in Cambodia or the major Mayan cities have their own geodesic lines; But the incredible Inca city of Machu Picchu has its own, is called the Wiracocha route and crosses the Inca city and some of the most important Inca precincts in the Sacred Valley of the Incas. The energy of Machu Picchu comes from a very powerful “energy vortex”, Kundalini energy of the great mother (mother earth), “Pachamama” for the Incas; This energy was previously in other parts of the world; Mythical places like Lemurian or Atlantis, but also places like the Himalayas, sacred places in India and Tibet. But now this energy is found in the heart of the Andes, in the sacred city of the Incas, “Machu Picchu“. 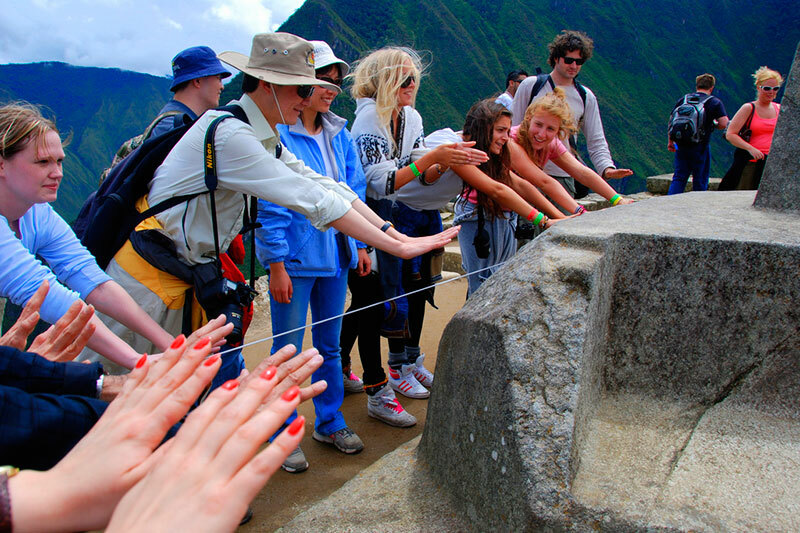 What we can assure is that the energy of Machu Picchu attracts millions of people from all over the world every year. This energy is similar to that which is present in the human body, known as the “Chakras”. As you enter the Inca city, you will feel a tranquility and spiritual peace difficult to describe. 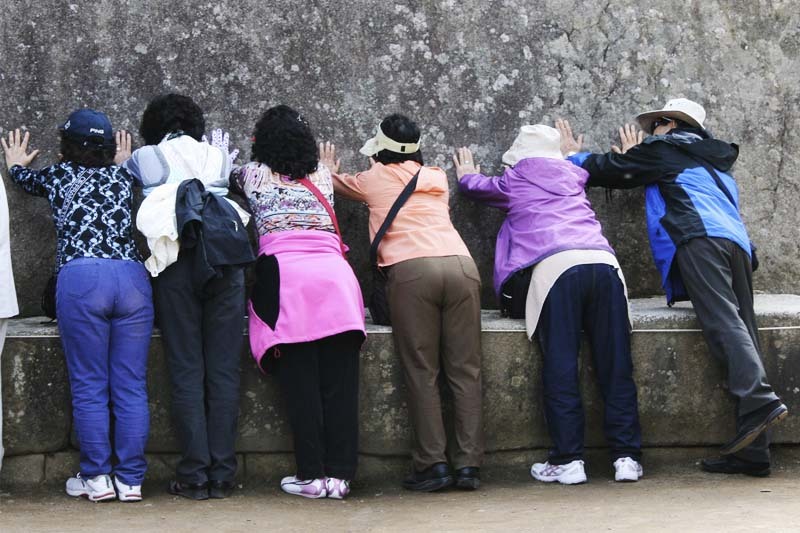 More and more people around the world are looking for spiritual experiences, and Machu Picchu is simply the most incredible place to do it; There are millions of people looking for the energy of Machu Picchu, but there are also millions who have already experienced the incredible energy of Machu Picchu. You can find thousands of comments from people all over the world, talking about what they felt at Machu Picchu; Some speak of an energy that recharges, others of a surprising mystical environment, well what they all felt was the energy of Machu Picchu; In fact, many people describe Machu Picchu as a place with totally perceptible and fascinating electromagnetism. Before you had to find a good time to find information about the energy of Machu Picchu; Now all the most important travel forums in the world speak of the energy of Machu Picchu. Well here are some (well known) testimonies of the energy of Machu Picchu, but there are thousands of comments from people who already felt the electromagnetic energy of Machu Picchu. In 1983, actress Shirley MacLaine published Out on a Limb, autobiography that relates its experiences in the philosophy of New age. After a visit to Peru, MacLaine speaks of herself as an Inca princess in a past life. The book became a best seller, taking it even to the screens, in a miniseries in 1987.